"Hasn't Daisy got the most expressive eyes? Painted as a gift this was a real treat for me to paint as I know both the dog and the recipient - and the clients are friends too! No pressure then to make sure that Daisy Dog came up to scratch (pardon the pun!) 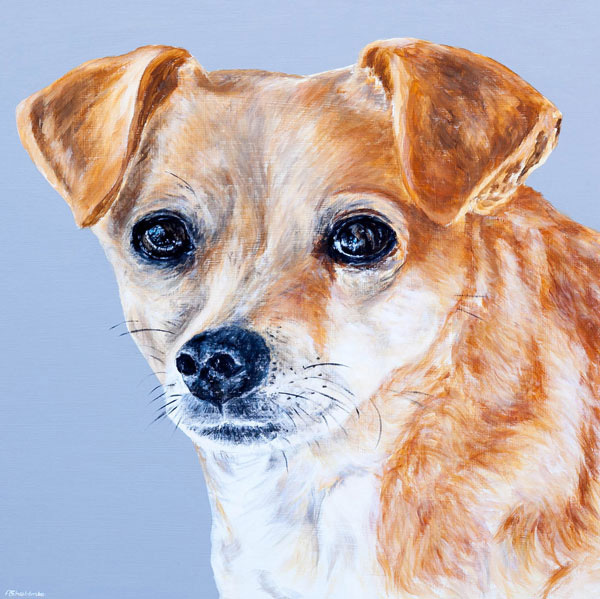 A real treasure of a little dog and fabulous to paint." ... I saw your lovely picture of Daisy - amazing work, really handsome picture ... huge congratulations, it's a very handsome portrait"